21.5 oz. 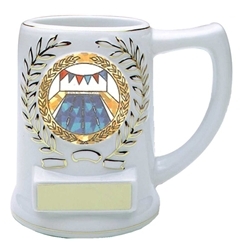 Swimming Mug Trophies available in white or black finishes. The swim mug trophies are made of ceramic. Makes a great coach gift.